The Gold Coast Prestigious Awards for Excellence has honoured Mix Masta Garzy, leader of 2MG Music for his enormous contributions towards the rapid growth of Ghana music.The successful event which took place at 8 pm on the 4th of June, 2017 recorded the presence of some key players from various institutions across the country. The year is already fruitful for the young and energetic maestro Garzy as he has accumulated awards since last year till now. The master brain behind more smash singles in the Ghanaian music scene has so far scooped one from the 2016 bass awards and recently excelled as the best music producer at GHANA Entertainment Awards USA. His diligence towards his craft over the years till now is manifesting in the awards and recognitions he has gained so far. The musical virtuoso looks forward to basket some more since he’s investing colossal efforts to make the music business a better merchandise with his ambidexterity. 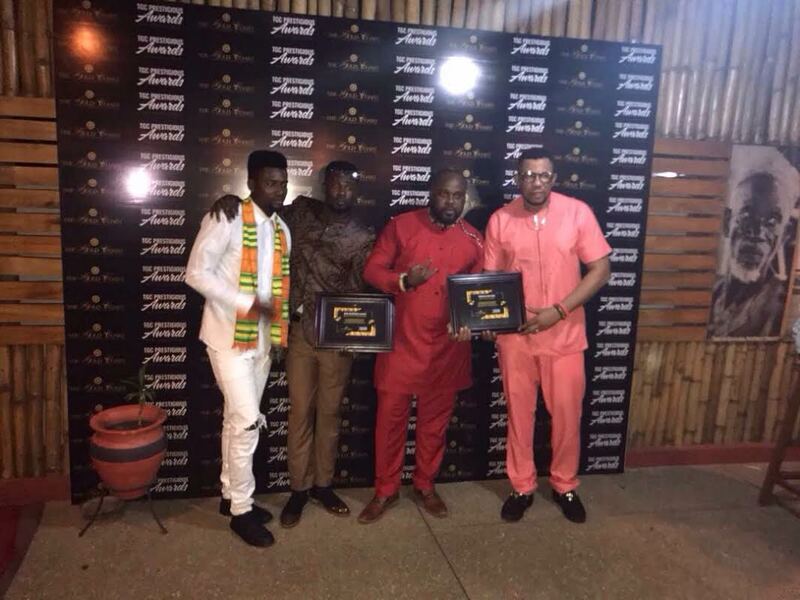 Prolific Nigerian and Ghanaian based artist and actor Eze was also honoured on the night and this has catapulted him and the beat champ to become the ambassadors of the month for The Gold Coast Restaurant and Cocktail bar. The glamorous event was a remarkable one which will always be the machinery to empower hardworking individuals. Variety of delicious African dishes were served for the night. Since that’s the major service the entity renders. Mix Masta added, “come next year he’s ready to cop another one”.